NEWCASTLE: Monday, April 8, 2019: THREE-times Melbourne Cup winning jockey Kerrin McEvoy is chasing an Australian Oaks breakthrough at Royal Randwick on Saturday. Kris Lees has booked McEvoy for last Saturday’s Group 3Adrian Knox Stakes (2000m) winner Aliferous after Brenton Avdulla had to forego the mount. “Brenton already had another commitment, so it was good to be able to get Kerrin for the filly,” Lees said this afternoon. McEvoy’s best placing so far in the $1m Australian Oaks (2400m) was third on Believe in 2016. Aliferous joins stablemate Frankely Awesome, who was withdrawn from last Saturday’s $2m Australian Derby over the same course to be reserved for the fillies’ classic. Whereas McEvoy is yet to win the Sydney fillies’ feature, Bowman has an outstanding record. He has won the Oaks five times and, with the FrankelyAwesome mount, has the opportunity to make it four in a row. Bowman won on Daffodil (2009) and Streama (2012), and the last three years was successful on Sofia Rosa, Bonneval and Unforgotten respectively. Lees hopes to have as many as four representatives in Saturday’s $2m Group 1 Sydney Cup (3200m). “I have accepted with Red Cardinal, Big Duke, Doukhan and Fairlight,” he said. Red Cardinal and Big Duke are assured of starts, but Doukhan and Fairlight are currently outside the maximum field of 20 in ballot order prior to the field being declared at 8am tomorrow. Jason Collett goes back on to Red Cardinal, Avdulla stays with Big Duke and Andrew Gibbons will ride veteran Doukhan if he secures a berth. Collett won the Listed Parramatta Cup (1900m) at Rosehill Gardens on February 23 on Red Cardinal (beating Big Duke) at his first start after joining Lees’ team, then McEvoy rode him to victory in the Group 3 Sky High Stakes (2000m) there on March 16. McEvoy partners the lightly-raced English stayer and Cup favorite Dubhe, who makes his Australian debut for trainer Charlie Appleby. Avdulla has been aboard Big Duke in all four starts – three of them seconds – for Lees. 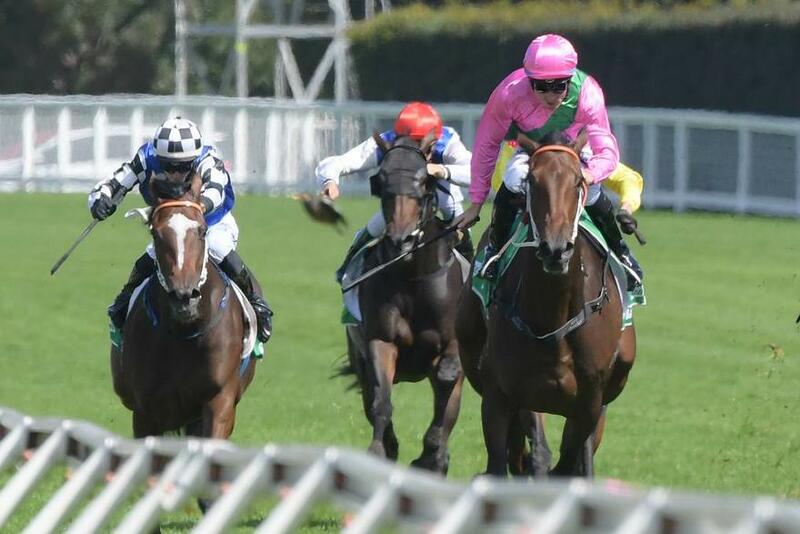 The seven-year-old turned in a first-class Cup trial when runner-up to Avilius at level weights in the Group 1 wfa Tancred Stakes (2400m) at Rosehill on March 30 on a “Heavy 9” surface. Le Romain won’t back up against Winx in Saturday’s $4m Group 1 Queen Elizabeth Stakes (2000m). The six-year-old, a brave ninth to three-year-old Brutal (conceding him 7.5kg) in last Saturday’s $3m Doncaster Mile, will be reserved for Saturday week’s Group 1 wfa All Aged Stakes (1400m) at Randwick. Lees has three representatives – Chalmers (James McDonald), Turnberry (Bowman) and Evalina (Avdulla) - as he bids to win Saturday’s $500,000 PolyTrack Provincial Championships Final (1400m) for a third time. He was successful with Danish Twist in 2016 and Serene Miss last year. Invincible Gem and Princess Posh are certain starters in Saturday’s $1m Group 1 wfaCoolmore Legacy Stakes (1600m). A decision on whether El Dorado Dreaming joins her stablemates or runs in the Listed South Pacific Classic (1400m) will be made after she works in the morning.